On 19th Dec 2011, Drukair begins operating the domestic routes from Paro to Bumthang (Central Bhutan) and Yonphula (Eastern Bhutan). This service will significantly save travellers whom wish to explore the span of East-West Bhutan up to 3 days of driving time. The total time required to reach the eastern most airport of Yonphula, which is about an hours drive to Trashigang is only 2.5 hours giving Drukair time to pick up and drop off travellers in Bumthang. If you wish to visit the Bumthang, central Bhutan, domestic service would cut short your traveling time from 12 hours flight to just 35 minutes flight. The flight costs are $170 USD from Paro to Bumthang and $215 USD from Paro to Yonphula. Currently domestic flights tickets can only be purchased at Drukair Thimphu office. International travellers wishing to book Drukair’s domestic flights should contact her agents to make a booking. A passport copy will be required for booking Drukair’s domestic flights. To book your Bhutan Domestic Flights to Bumthang or Yonphula, please contact Druk Asia here. The ATR 42-500 begins operation with Drukair in June 2011. It will fly to the nearby cities of Kolkata, Kathmandu, Guwahati, Gaya and Bagdogra. It is a 48 economy seater but can be also converted into 8 VIP seat and 22 economy seat. 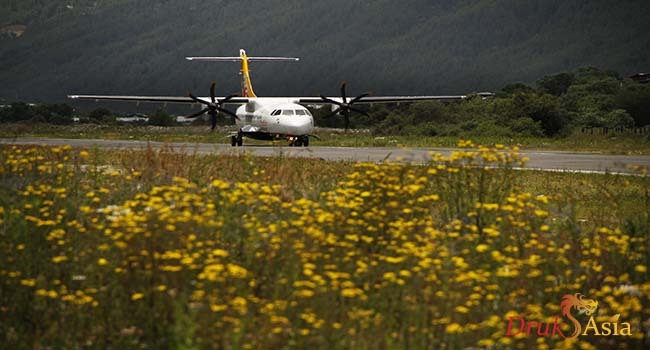 For domestic service, the ATR would only be able to take a maximum of 22 passengers due to the short runway on both Bumthang and Yongphula airport. Yongphula airport was previously used by the Indian army. It was converted to domestic airport in 2011. 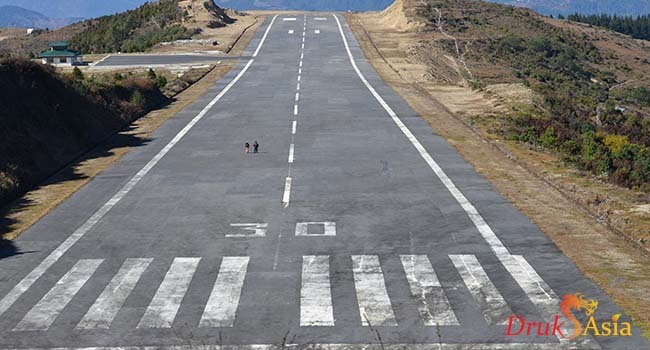 It is currently closed and under renovation to repair the runway.